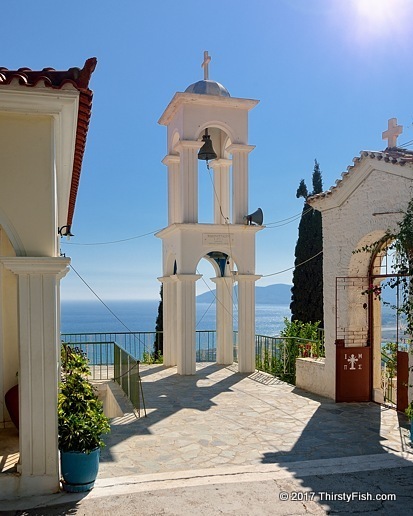 Another view of the Monastery of Panagia Spiliani. Those old timers sure knew where to build a monastery. It is believed that even in pre-Christian times, this location was a place of worship. Lately I've been doing a lot of doom and gloom. I just watched a television special on climate change denial being funded by fossil fuel companies. Although there is almost a full consensus among climate change scientists that climate change is real, special interests "buy up" scientists to deny and confuse the public. But it's not only climate change. "Civilization" is on a sure path of annihilating itself; species extinction, pollution, wars, deforestation - I could go on. For each of these big problems, there are "denier scientists" who get paid by industry to obscure facts and undermine the urgency of threats. Science is not about pitting one opinion against the other. If you are defending a scientific fact, show me the proof. If you can't show me the proof, then let's err on the side of caution - the precautionary principle. If you are a "scientist" who's lying because of some personal interest, then you should be hung.